Featuring Michelle Yeoh in her very first leading role, Yes, Madam firmly put Yeoh in the limelight; setting her on the path to becoming the award-winning action superstar she is today. After a murder orchestrated by the crime boss Tin (James Tien) takes place, an incriminating piece of microfilm linking him to his criminal activities is stoeln by two-bit thugs Aspirin (Mang Hoi) and Strepsil (John Sham). 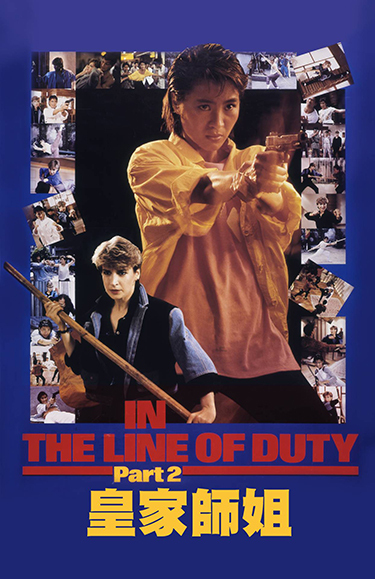 With the police eager to get their hands on this vital piece of evidence, hard-hitting police officer, Inspector Ng (Michelle Yeoh) is teamed up with an aspiring young police officer from Scotland Yard, Carrie Morris (Cynthia Rothrock). The unlikely pair work to track down the microfilm, and put Tin behind bars.